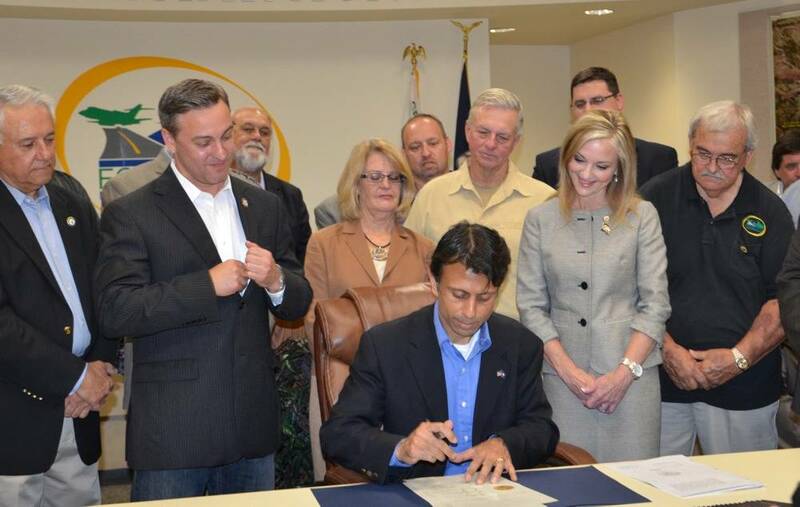 Governor Bobby Jindal has signed legislation that supports Louisiana’s ports by expanding a tax cargo credit for certain port projects. SB 122 — authored by Senator Norby Chabert— modifies the Investor Tax Credit (ITC) and the Import-Export Tax Credit (IETC) by expanding the types of projects that qualify for exemptions. Projects that will qualify for the credit include warehousing and storage, port operations, marine cargo handling, ship building and repairs and oil and gas activities. Governor Jindal said, “Today is a great day for Louisiana’s ports. Here in our state, we know that ports equal jobs, and the legislation we’re signing into law today will go a long way toward strengthening ports across our state and creating opportunities for our people." Authorizes LED to grant a credit when it determines that such project will have a “significant positive economic impact” such as positive tax revenue, after taking into account direct, indirect and induced impacts of the project. Provides LED the flexibility to award the IETC to international businesses based on pre-contract tonnage. Removes the transferability of the IETC. States that no tax credit may be granted for a project that exceeds $2.5 million per tax year, and the total amount of tax credits granted is capped at $6.25 million per fiscal year. Prohibits the credits from being applied against tax liability before July 1, 2014. Places a sunset date on the credit of January 1, 2020.